The Allround ball is great for soccer or volleyball. Diameter measures 7" with a medium bounce making it ideal for indoor games. Soft feel and low sting impact. Sold in a set of 6, one of each color: red, orange, yellow, green, blue and purple. Soft feel and low sting impact! Medium bounce makes it ideal for indoor games! 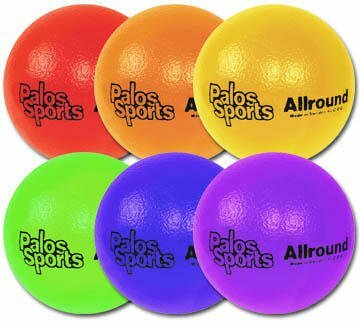 The Allround ball is great for soccer or volleyball.